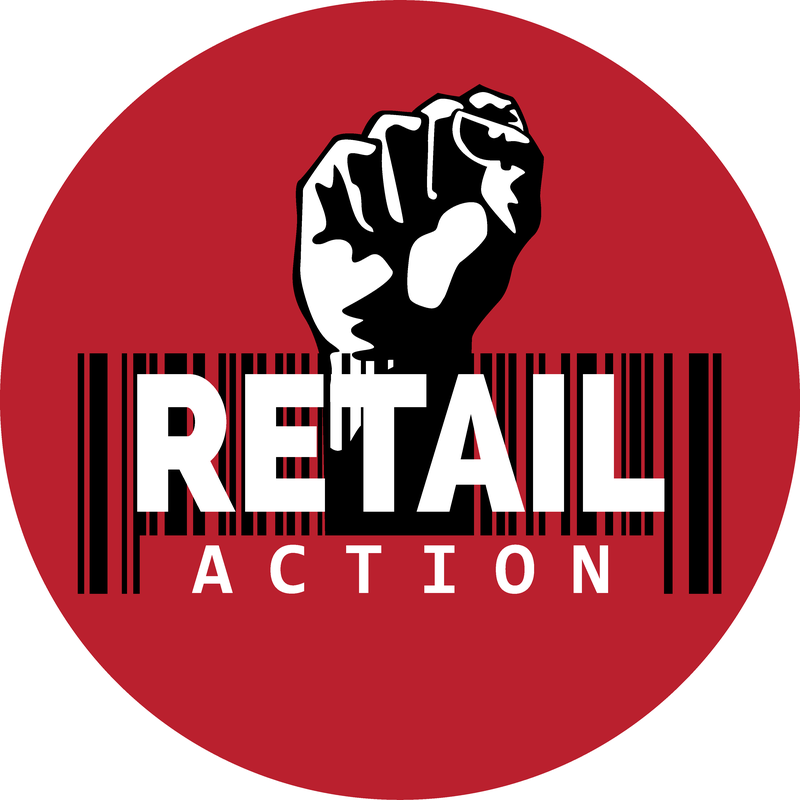 Come join us for our general meeting & social, hosted by the Retail Action Network! 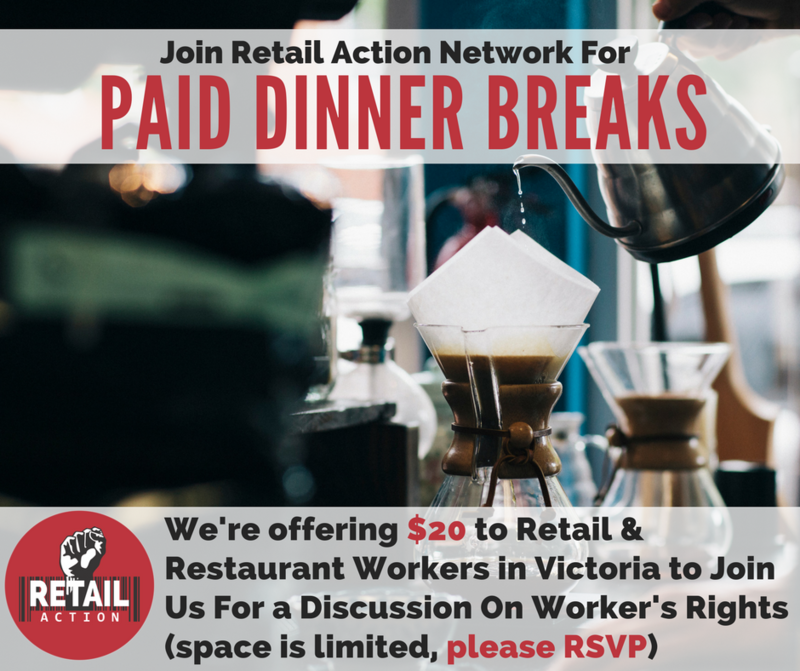 If you have never been to a Worker’s Wednesday meeting before, try to arrive early to get introduced over dinner, and to learn a bit about the Retail Action Network, and how you can get involved! Join us for a meal cooked by the Fernwood NRG. There are vegetarian and meat options available and the meal is made from 90% reclaimed foods. RAN will be covering the cost of this by-donation meal for all Worker’s Wednesday attendees. 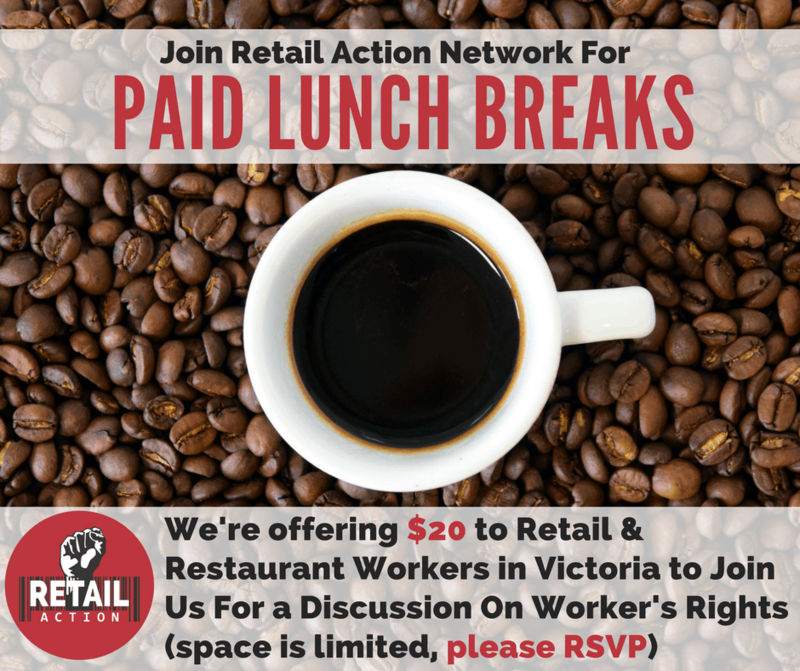 Working groups and committees report back on what they have been up to in the fight for workplace justice this month, we will talk about upcoming RAN actions & volunteer opportunities, and then a chance to socialize! Interested in helping out? We’re always looking for greeters to help welcome folks to the space. • dinner is located in the gym on the lower floor. Accessible by ramp from the main entrance or around the back of the building by the outside doors. • two single-stall, wheelchair accessible gender-inclusive bathrooms available, one on the lower level and one on the upper. • gymnasium is lit by both overhead lights and skylights. This event takes place within the traditional territory of the Lkwungen peoples, today represented by the Esquimalt and Songhees Nations. The Retail Action Network organizes within Lkwungen, W̱SÁNEĆ, and T’Sou-ke Territory.​ The displacement of Indigenous people from here and around the world, through colonialism, has historically been the backbone of capitalism and a vehicle for the extraction of resources. Working class settlers through history, displaced from their own communities, have been pawns to enforce the violence of colonialism. This process continues today. Colonialism has important and real implications for why and how we organize workers. Centuries of resistance to capitalism and colonialism have shaped today’s labour movement; we continue to learn and take direction from Indigenous led anti-colonial movements. We extend our appreciation to the Lkwungen, W̱SÁNEĆ, and T’Sou-ke peoples for the opportunity to live, work, organize, and celebrate together on this territory.